Kia Sportage for AED 40,000 with many features, including moonroof, bluetooth system, cruise control. Red with other color interior. Green 2016 4 cylinder SUV/Crossover. Price AED 40,000. Other color interior. It has fog lights and airbags (front and side). Red 2012 4 cylinder SUV/Crossover. Price AED 36,500. Grey interior. It has tuner/radio and CD player. GCC spec 2013 Kia Sportage, 4 cylinders, black SUV/Crossover with black interior. It comes with CD player and bluetooth system. Black 2016 SUV/Crossover. Black interior. It features MP3 interface, 17 inch wheels and power windows. GCC spec Kia with Differential lock, 17″ wheels and Power windows. Price reduced! Kia Sportage white SUV/Crossover, grey on the inside with sport suspension and air conditioning. 18″ wheels. Automatic 2015 Kia Sportage price AED 49,000, with 17 inch wheels, parking sensor rear, parking assist, grey interior, grey/silver exterior. GCC spec. GCC spec 2009 Kia with Power locks, 18″ wheels and CD player. Price reduced! GCC spec automatic, 15 inch wheels, bluetooth system, cruise control, black interior, grey/silver exterior. GCC spec automatic, 17 inch wheels, tuner/radio, airbags (front and side), grey interior, brown exterior. Taher - I bought a used 2.0 2WD version of the Sportage as my budget didn’t allow for a top trim version. I must say, they are fantastic cars for the price. Lots of legroom for everyone, options are good, and it’s light on the wallet when it comes to fuel. Pros: Reliable, legroom and fuel economy. Mohammed - I bought myself an import second hand Sportage LX V6 a few years ago, and I haven’t looked back since. Excellent cars to buy and the price in UAE starts consistent so I know when I sell it I won’t lose too much money. Pros: Resale value and comfort. Tinush - When 2016 new shape cars were revealed I immediately set out to buy one when launched. Now that I got my hands on a pre owned one, it’s even better than the previous years, and it looks so much better. Options are excellent, and the AWD is perfect for Dubai. Given it's an SUV, you would expect it to be clunky, not the Sportage. These five-seater SUV’s are rather nimble. In current trim, two four-cylinder motors are on offer. One of which is turbocharged, offering extra power for those wanting it. 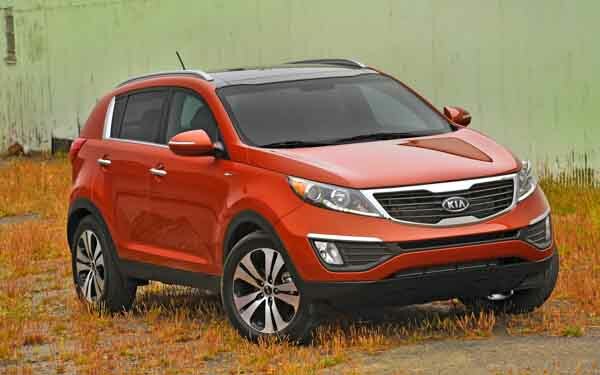 Finding a buyer for a used Kia Sportage is fairly in the UAE due to their popularity. They aren’t just popular here, but also overseas allowing customers to export the cars. It’s built to last much like most vehicles hailing from Asia. Over the years, the Sportage has morphed into a respectable looking vehicle with sleek angles all around. 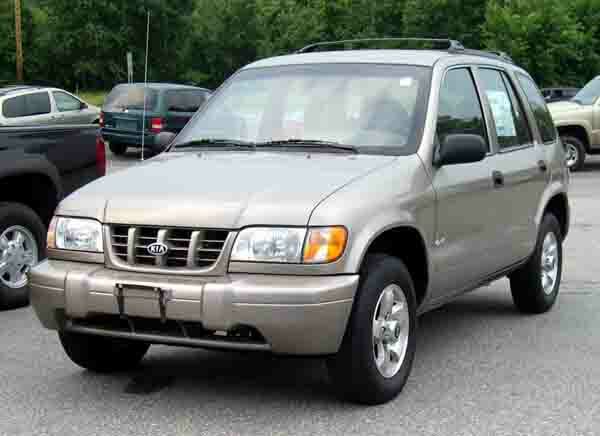 Starting off as a small SUV that got the job done no matter what, the Kia Sportage made its worldwide debut in 1993. Unfortunately, it didn't go down too well with the South Korean manufacturer at the start, however, in 2005, they take a massive leap forward. Since then, the Sportage has seen success around the world and continues to sell well all over. 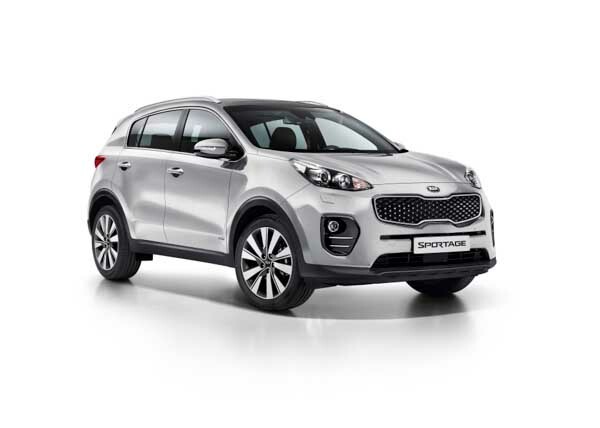 With it’s plain and ordinary looks, the Kia Sportage made it’s debut as a compact SUV available to those without deep pockets. Base models came stock with fabric seats, 14-inch and manual accessories. A radio tuner, trailer coupling and various other options are available in individual countries. Two body styles are available in these years: a two-door convertible and a more traditional four-door SUV. Power is drawn from a selection of 2-litre petrol motors mated to either a manual or automatic gearbox. Front-wheel drive is standard with four-wheel drive available as an optional extra. 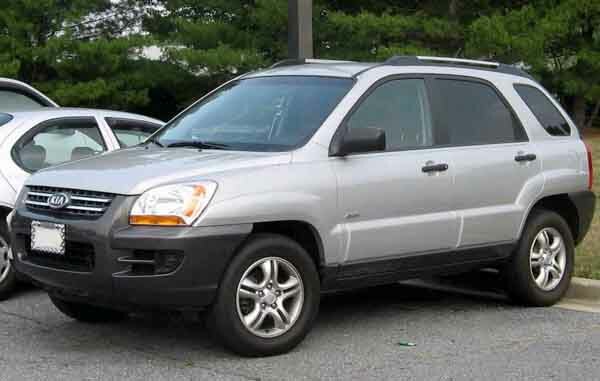 Want to buy a second hand Kia Sportage for sale in Dubai, UAE? Prices start at AED 6,000. Entering its second generation, Kia went back to the drawing board and redesigned the Sportage. The brand also focused heavily on making the SUV safer. While being safer, the SUV measures in with larger dimensions. Standard features include air conditioning, manual accessories, 16-inch alloys on each rim, radio, four speaker setup and rear folding seats for additional space. Optional extras include CD player, roof rails, rear parking sensors, and larger rims. ABS and front airbags are available as standard in some areas. Instead of offering a set of four-cylinder motors, the Sportage during this generation is also available with a V6 motor too for an extra kick. Front wheel drive is once again standard with four-wheel drive being available at an additional cost. The automatic transmission is standard in the GCC with manual gearboxes being available. Looking to buy a used Kia Sportage for sale in Dubai, UAE? Prices start at AED 20,000. In its third generation, the entire car was once again redesigned from the ground up. Standard features include power accessories, media inputs, fabric seats, CD player, roof rails, keyless entry, rear spoiler and 17-inch rims. Optional extras include digital air conditioning, keyless, start, panoramic sunroof, cruise control leather seats, power seats, navigation, 18-inch alloys, xenon headlights, rear parking sensors and reverse camera. ABS and a single airbag are standard with dual airbags and stability control available as extras. The V6 motor only lasted a single generation as it was dropped in favour for a 2.4-litre four cylinder petrol engine. Front wheel drive comes as standard with all-wheel drive available on higher trims. Power is controlled via a manual or an automatic gearbox. In 2015, the Sportage has a slightly different face from the previous years along with a few extra options inside. Looking to buy used Kia Sportage in Dubai, UAE? Prices start at AED 44,900. 2016 versions are available in two shapes, the previous generation one or the redesigned version that brings the South Korean brand right into the present. Although the rear looks similar to the last facelifted models whereas the front end is entirely reworked. The GT line trim is new in this generation is sets itself apart from standard Sportage models with unique front bumpers, square fog lamps, dual exhaust pipes and 20-inch alloys on each rim. Also, it draws power from an all-new 1.6-litre turbocharged four cylinder petrol motor hooked up to a seven-speed automatic gearbox powering all four wheels as standard. Other Sportages are powered by the returning four cylinder motors hooked up to a manual or automatic gearbox powering either the front or all four wheels. Want to buy a pre owned Kia Sportage in Dubai, UAE? Prices start at AED 52,000.